I'm trying to debug haxe. in this link it's shown how to do it. A condition property should be set to breakpoint to enable debugging. But I cannot do this in Intellij 12. I can't write anything to "Condition" area. 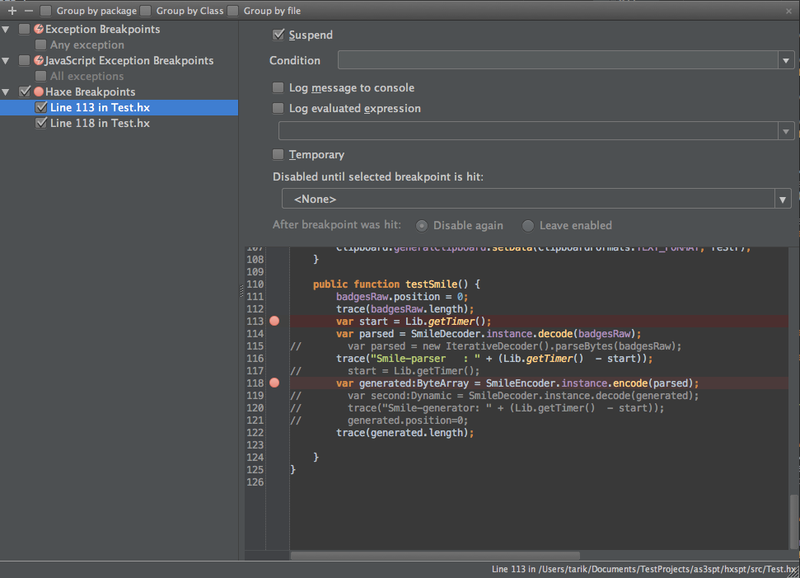 Could you please try the latest IntelliJ IDEA 13 EAP build. The latest version of the plugin compatibable only with IntelliJ IDEA 13. I did. Still can't write any condition. I can't write anything to that textbox. Can it be related to Mac OS?